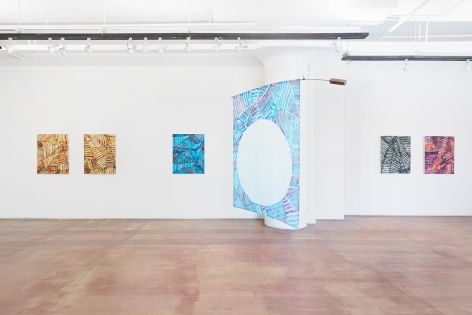 Geary is pleased to present Unknown Repair Wave, a two-person exhibition featuring new work by Chicago-based artists Dan Devening and Andy Hall. 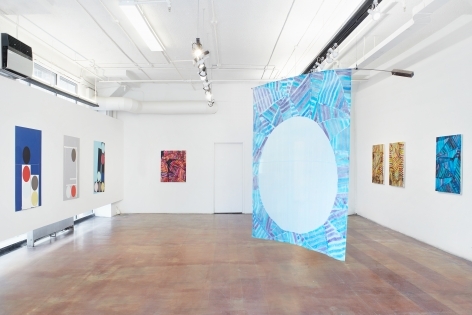 Unknown Repair Wave brings together a collection of modestly sized drawings, paintings, and work on silk. 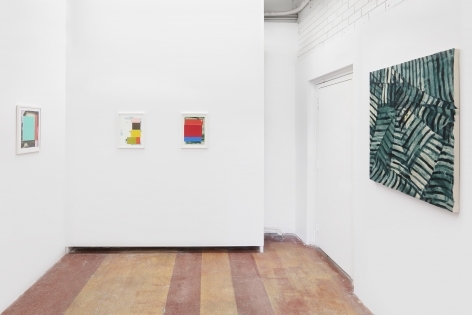 The two artists work primarily in abstraction, searching for subtle ways in which the work confronts the viewer peripherally; they describe the exhibition title as a signal in motion that might patch things up in the weird, shifting world of today. 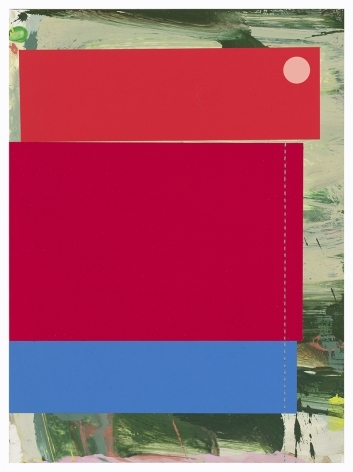 Devening employs the use of bold shapes and colors that recall the iconography of flags to conjure cancellation rather than collectivism. 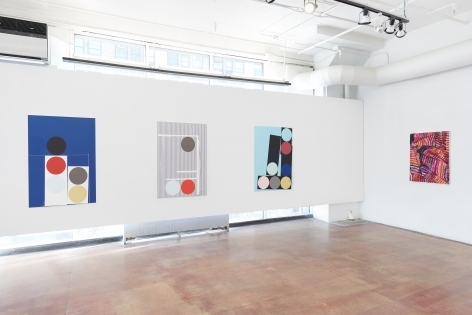 His playful juxtapositon of rudimentary shapes, such as the repeating motif of a circle, and the relationship between "flat" colors at once recalls a child-like approach to construction, foiled by the synthesis of highly evolved design influences like the Bauhaus, Massimo Vignelli, and Max Huber. 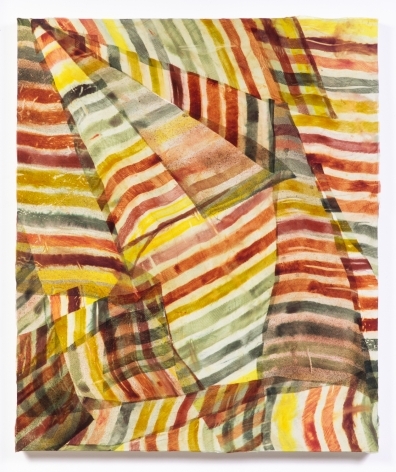 The stripe as subject in Andy Hall’s dyed silk collage is neither neutral nor natural. 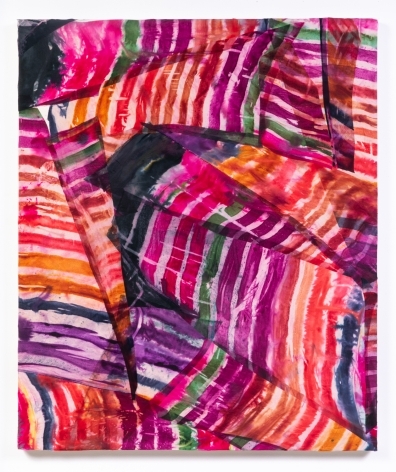 The work is produced through a number of precise yet idiosyncratic steps involving painting stripes onto foam slabs then transferring them onto silk; a messy process which Hall colloquially refers to as a ‘Planar-Goo-Transfer’. Hall then traditionally steam-sets the dyed silk, but slices it into fragments for new compositions. 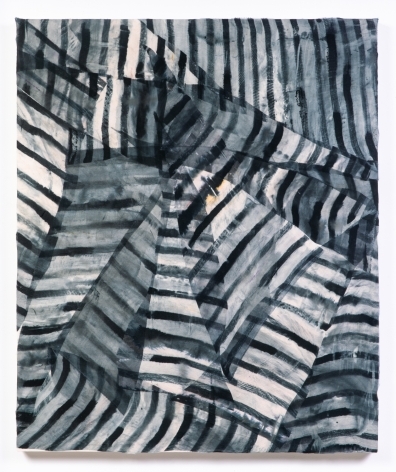 The stripe piles rendered in his stretched works reverberate with his adjacent work in experimental music; a sort of frozen music or score on canvas. Together, these two makers present compositions of shape and color that emphasize process and material, and direct the viewer on a journey that is as valuable as a destination. Andy Hall is an artist, musician, and arts educator based in Chicago Illinois. 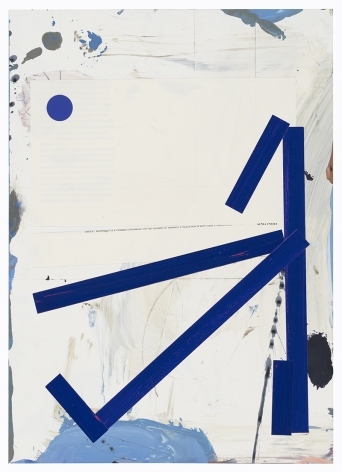 His work has been featured at institutions such as the Museum of Contemporary Art (Chicago), Elephant (Los Angeles), Contemporary Art Museum (Raleigh), and the American Craft Council (Minneapolis), and has been featured in New American Paintings, Core 77, Artsy, and Interior Design Magazine. This is Hall's third exhibition with Geary. 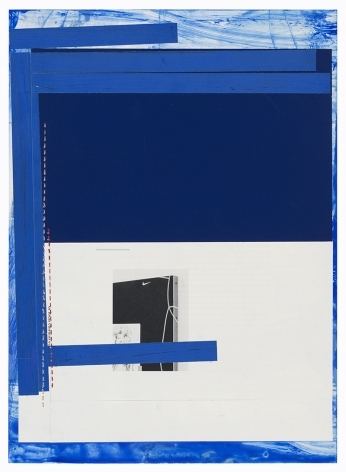 Dan Devening is an artist and educator in Chicago, Illinois. 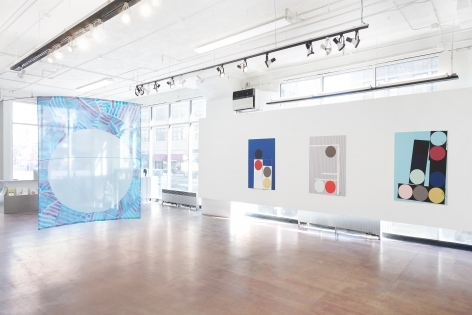 Most recently, Devening's work has been exhibited at Grolle Pass:projects (Germany), 65Grand (Chicago), LVL3 (Chicago), Chicago Artists Coalition, and Seerveld Gallery at Trinity College (Palos Heights, IL). Devening is the director of Devening Projects and Paris London Hong Kong, both in Chicago.